Ranbir Kapoor to Play Double Role in YRF’s ‘Shamshera’ With Vaani Kapoor And Sanjay Dutt? Ranbir Kapoor is reuniting with YRF after 12 years with Shamshera. Here's latest update on his character in the film. Actor Ranbir Kapoor has got two big films in his kitty currently. He has been shooting with Alia Bhatt for Brahmastra while he also has YRF’s Shamshera. Now, the latest update on the film has it that Ranbir might be seen playing a double role in the film. As per a report in a leading daily, the actor plays the role of both the protagonist and his father. 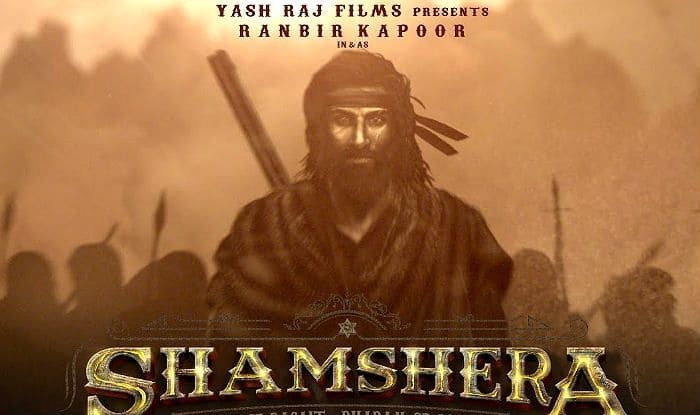 Shamshera, directed by Karan Malhotra, reunites Ranbir with YRF after a hiatus of 12 years. The actor was last in critically acclaimed film Rocket Singh: Salesman Of The Year in the year 2009. The new film with URF also features Vaani Kapoor and Sanjay Dutt with him. If the reports about Ranbir’s dual characters are true, then it’s the first time that the actor will be seen playing a double role on-screen. Meanwhile, Ranbir is also in news for his romantic relationship with Alia Bhatt. In fact, the actress made it all official publicly by saying ‘I love you’ to Ranbir from the stage at the recently held Filmfare awards 2019. She mentioned the actor in her acceptance speech, called him ‘special one’ and then uttered the three golden words. The best part about the entire love-dovey moment was Ranbir’s cute reaction. He covered his face with hands and blushed when Alia expressed her feelings.